►This is only a sample -- we've moved to Amazon! 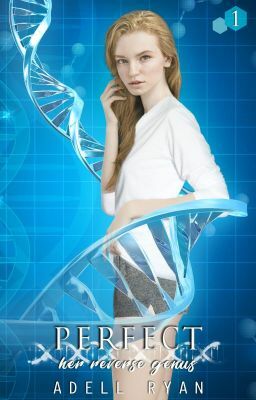 http://books2read.com/PerfectHRG1◄ My name is Thessaly, and at 22, I still don't know what I want to be when I grow up. Living with my parents, going to college, and hanging out with friends is pretty much the extent of my mediocre life. The biggest drama I have going on with me is fighting a growing attraction toward my best friend Bram. Oh and avoiding needles-specifically ones that draw my blood. See, on January 27, 2044, the DNA Networking Act was set into action. This new law provides those in authority to gather genetic information from citizens in an effort to achieve nationwide resistance to diseases and other weaknesses. Sounds promising, right? Maybe. But to me, it infringes on a person's freedom. The act prohibits citizens from declining to undergo genetic testing when summoned, and the deadline for everyone to voluntarily submit a DNA sample is fast approaching. I'm avoiding the process as long as possible. Until one night the unthinkable happens: I'm ruthlessly abducted. Bleeding is no longer voluntary... it's a requirement. And as it turns out, my captors aren't anything like I expected. Fear. Friendship. Betrayal. Lust. Hate. Passion. Despair. It's no-holds-barred in this fast-paced, Sci-Fi, Reverse Harem Romance. *** Perfect is a work of fiction. Names, characters, places, brands, media, and incidents are either the product of the author's imagination or are used fictitiously. Any resemblance to actual events, locales or persons, living or dead, is entirely coincidental. Copyright © 2018 by Adell Ryan. All Rights Reserved. In accordance with the U.S. Copyright Act of 1976, the scanning, uploading, and electronic sharing of any part of this book without the permission of the publisher and the copyright owner constitute unlawful piracy and theft of the author's intellectual property. Thank you for your support of the author's rights.